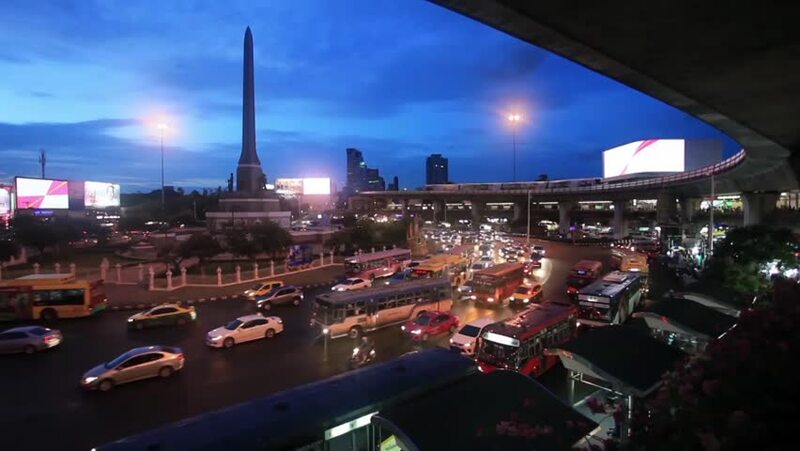 BANGKOK, Thailand - July 18, 2015: View of traffic at sunset on Victory Monument. hd00:06BANGKOK - APR 21: Time lapse of morning commuters at the Victory Monument on April 21, 2012 in Bangkok, Thailand. hd00:28Denver, Colorado, USA-November 27, 2016. Sunrise over Denver International airport. hd00:27View of bridge and seafront in night city. Illumination.